New from AIM Sports, one of the firearms industry's most-innovative and most-trusted manufacturers, the XPF Series 6 - 24X50mm Mil-Dot Rifle Scope is an excellent addition to any rifle setup. Designed for best-in-class precision and accuracy, this rifle scope with locking turrets features a Dual-Illuminated Mil-Dot reticle and a side parallax turret to help eliminate error from windage and elevation adjustments. Its green-fused multi-coated lens provides superior light transmission, resolution and scratch resistance, giving users the clearest view possible in any condition. The lens is also nitrogen-charged with weather-resistant seals for continued clarity. Made from durable and lightweight aircraft-grade aluminum, this scope is capable of handling heavy recoil from even the most powerful rifles. The scope itself is encased in fog-proof and shock-resistant housing for added durability and comes with Weaver/Picatinny ring mounts for easy and secure attachment to most rifles. 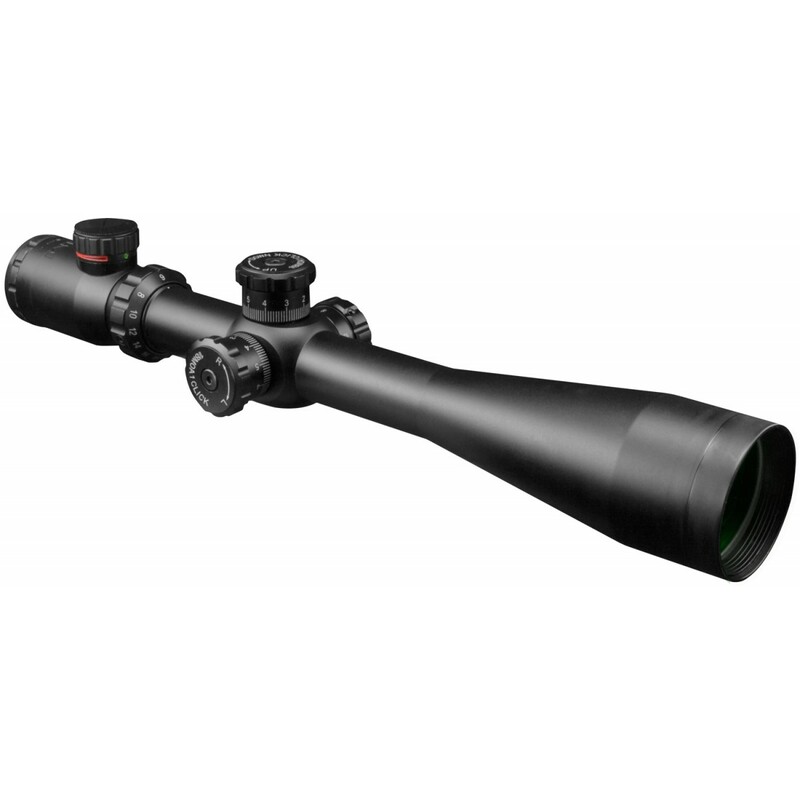 The AIM Sports XPF 6 - 24x50mm Mil-Dot Rifle Scope is perfect for long range targets, competitive shooting and hunting. Get yours in matte black here at Airsoft GI!